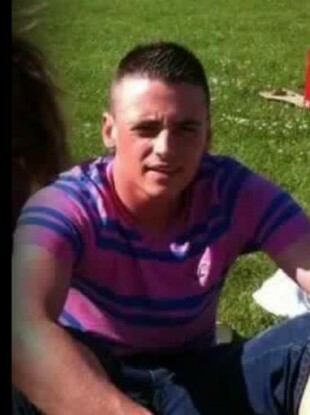 ALL FIVE MEN who were convicted of the manslaughter of Dale Creighton have been sent to Portlaoise Prison following a jail yard fight on Tuesday. The men, who were all committed to Mountjoy Prison on Monday, were in the gym area of the prison when a number of men approached them and a fight broke out. While there were no serious injuries, the men have already been moved to Portlaoise Prison for what have been described “as operational reasons” by security sources. It is understood that the men’s planned transfer to Portlaoise was sped up following Tuesday’s incident. The Irish Prison Service said it had no comment to make about the incident. Graham Palmer, Ross Callery, Gerard Stevens , Jason Beresford and David Burke were all sentenced for manslaughter. As she handed down sentences on Monday, Justice Deirdre Murphy said the men (and one woman who was convicted over the killing) were not evil or even bad people but described the fatal assault as prolonged and vicious. She noted that, following an allegation that he had stolen Aisling Burke’s phone, Creighton was ‘marched up the steps onto the footbridge and mercilessly kicked and beaten’. High profile cases such as the Creighton manslaughter verdict draw a lot of attention, according to one security source, who said that there would be “people waiting for them” when they arrived. As is regular procedure, new prisoners are kept under surveillance for the first days of their incarceration. It is then decided if they should be placed under a protected regime, where they are often confined to their cell for their own safety. Speaking outside the court on Monday, Creighton family spokeswoman Helena D’Arcy said the sentences were too lenient and told of the family’s devastation at losing Dale so young. Dale was described as a shy young man who loved his family unconditionally. D’Arcy added that he had his whole life ahead of him. She said that Justice Murphy had a very difficult job to do but said the Creighton family had hoped for harsher punishments. Email “Dale Creighton killers attacked on their second day in Mountjoy”. Feedback on “Dale Creighton killers attacked on their second day in Mountjoy”.